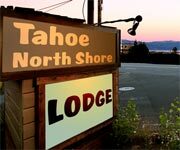 Features: Enjoy all the pleasures of Lake Tahoe’s North Shore from any one of our various types of accommodations: hotel rooms, suites and small cabin-style condos. 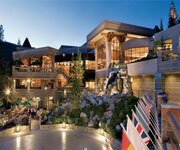 The large, heated outdoor pool and Jacuzzi offer hours of play or relaxation. Your private beach is only 400 feet from the resort and we have a beautiful lawn area for barbecues and games. Why We Stay: The Cedar Glen Lodge is located directly across the street from the sandy beaches of the Lake and merely 400 ft from the Lodge is a private beach made available for guests staying at the lodge. 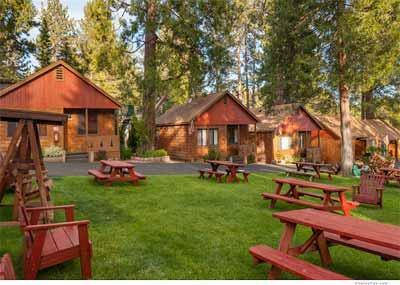 Property Amenities: Cedar Glen Lodge Tahoe has a large heated outdoor pool, hot tub, sauna, barbecues & fire pits along with lawn areas adorned with picnic tables & chairs among many other great included amenities. 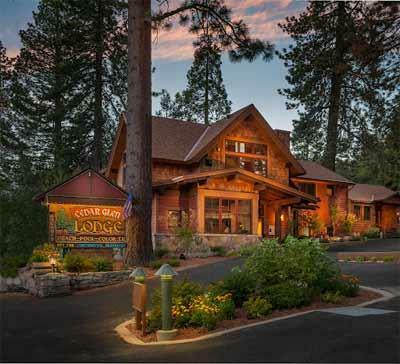 Vacation Packages: The Cedar Glen Lodge Tahoe often posts special packages and discounts exclusively on their Facebook page and on their website as well, so check often or give them a call to make your dream vacation possible. 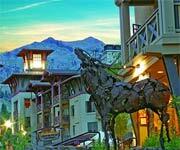 Nearby Recreation: When you stay at the Cedar Glen Lodge Tahoe Cabins, check out the nearby Northstar Ski Resort. 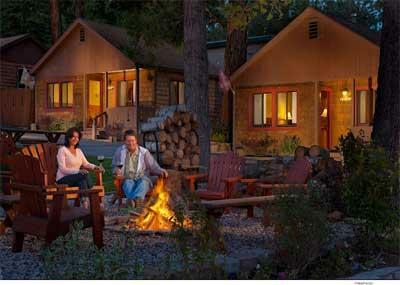 Inside Knowledge: The Cedar Glen Tahoe Cabins come with complimentary high-speed wireless Internet. 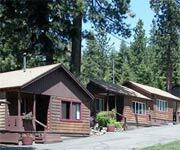 Do Bring Family: The Cedar Glen Lodge Tahoe Cabin Rentals are perfect for any family vacation, and there are many exciting activities nearby that kids will enjoy. 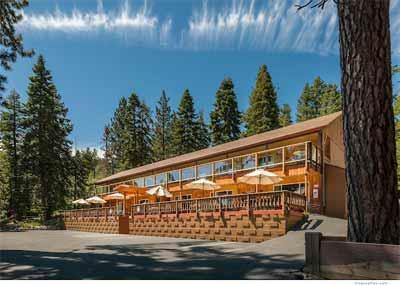 Do Check Online Packages: The website for Cedar Glen Lodge Tahoe has updated information concerning vacation packages, so be sure to check their site for special deals. 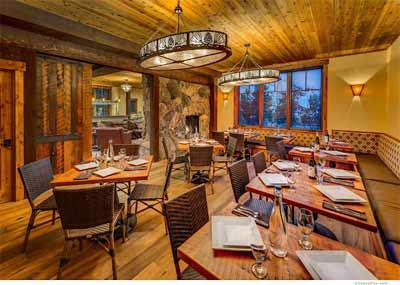 Don't Miss Breakfast: Guests staying at the Cedar Glen Lodge Tahoe Cabins receive free continental breakfast every morning. 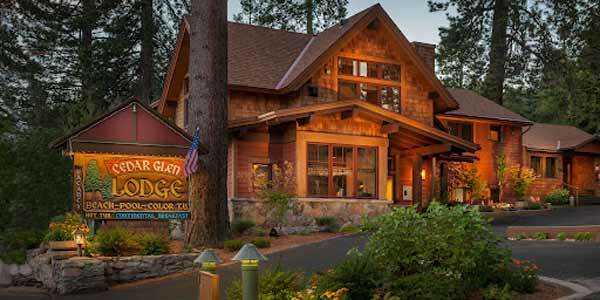 Don't Bring Pets: The Cedar Glen Lodge Tahoe is not pet friendly, but they love people! Great views of the lake from the Cedar Glen! This is a great place to stay in North Lake, and for the price, it’s a real steal. The customer service here is awesome. They are super friendly and accommodating. Everyone at the front desk is really willing to go above and beyond for you. 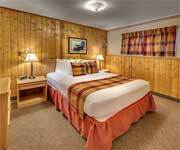 Yes, it’s a little bit older, but the cabins and super clean and there’s a lot of great amenities here. 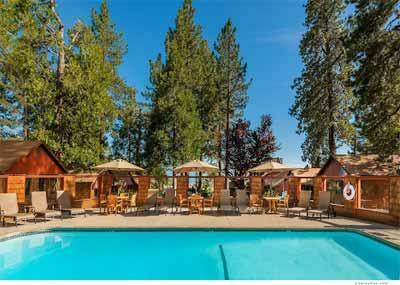 They have a heated pool, sauna, jacuzzi, and games like horseshoes and ping pong tables to keep you occupied. The hotel has a real welcoming feel to it. 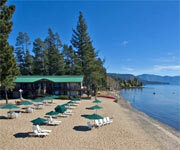 I’d definitely recommend staying here to anyone, especially if you’re coming to Tahoe in the summer. 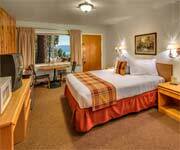 These lake view studios come with queen beds and a beautiful view of Lake Tahoe. 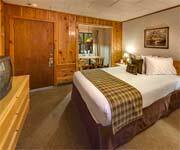 All rooms and cabins at the Cedar Glen Lodge Tahoe have been recently renovated and come with free Internet, cable television, clock radios, coffee maker and phones. Most rooms have refrigerators, and the bigger suites and cottages have kitchens. These one and two bedroom suites vary in combination of beds, but come with a full kitchen and furnished living space with a sofa bed and gorgeous Lake Tahoe views. 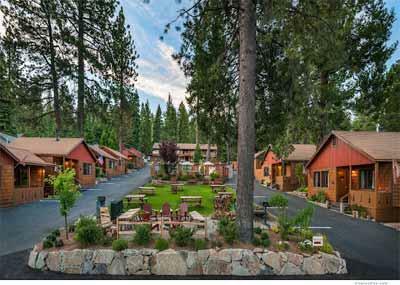 The Cedar Glen Lodge Tahoe recently renovated all of its rooms and cabins so they are now fully connected with free high-speed wireless Internet and cable television. 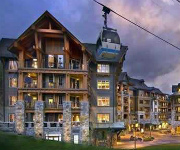 Most accommodations come with refrigerators, and the larger suites and cabins have full kitchens. Also enjoy a clock radio, coffee maker and phone. 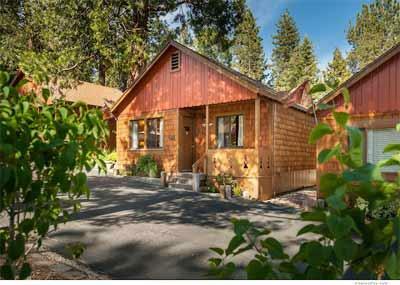 The studio cabins come with a queen bed and small dining or game table, but no kitchen. 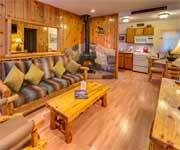 The recently renovated cabins include complimentary high-speed Internet, cable television, clock radios, coffee makers and phones. Most also have refrigerators. 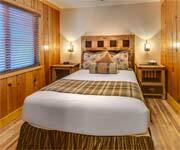 The cozy fireplace suite is a one bedroom suite with a queen bed. In the living room is a sofa bed and fireplace. There is also a full kitchen with a refrigerator. The recently renovated fireplace suite also includes free high-speed wireless Internet, clock radio, coffee maker, phone and cable television. The one bedroom cottage comes with a queen bed in the bedroom and a sleeper sofa in the living room as well as a full kitchen with refrigerator and a dining area. The cottages also have phones, coffee makers and clock radios. These Cedar Glen cottages have undergone recent renovation and now have complimentary high-speed wireless Internet and cable television. 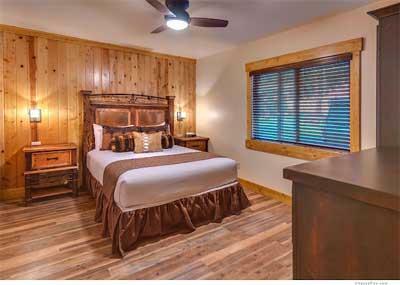 The two bedroom cottage comes with a queen bed in each room and a sofa bed combination in the living room. 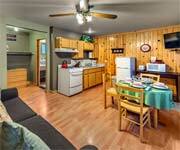 There is also a full kitchen with a refrigerator and coffee maker, as well as a dining table. 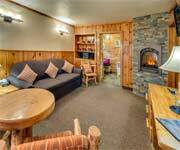 Enjoy a beautiful view of Lake Tahoe from this recently renovated cottage with free high-speed wireless Internet and cable television. The rooms also have clock radios and phones. The recently renovated romance suite is perfect for a romantic weekend escape. There is a king bed in the bedroom and a sleeper sofa in the living room as well as a full kitchen with refrigerator and romantic dining table. An added bonus is the large Jacuzzi tub. Other enjoyable amenities include complimentary high-speed wireless Internet, cable television, clock radio, coffee maker and phone.